No fewer than four murder trials now have the American public – indeed, much of the world, fascinated and attentive,. Of those four trials, three are underway or in preparation in Massachusetts alone. (The fourth one, that of George Zimmerman, is a Florida event.) That Massachusetts be the focus of murder crime may surprise many. Our state’s reputation is that of a progressive, educated citizenry who follow highly moral missions and do their duty to everyone. And our reputation is not a mis-impression. We are all that. Educated, highly moral, committed to the well being of all of our neighbors. 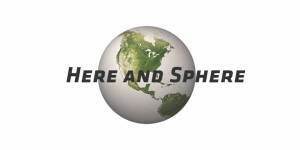 Still, in a society as populous and diverse as Massachusetts, there are many, many agendas going on. Not everyone in Massachusetts works the community’s mission. Our three accused murderers, James “Whitey” Bulger, Dzhokhar Tsarnaev, and Aaron Hernandez had their own agendas even as they lived among the rest of us. Nothing in itself is wrong with that. No society would be worth belonging if it were not open to opt-outs. No society gets it entirely right. Still, it takes an act of will for someone to separate frrom the general opinion. Many acts of will are beneficial : inventors, entrepreneurs, political opponents all go against the societal grain to society’s ultimate betterment. But some dissents are criminal. By “criminal,” I mean acts that society cannot tolerate, that not only dissent from the society’s mission but portend immediate, actual harm to it and to those who live in it. This, of course, is a commonplace. What is not so commonplace is our fascination with criminal dissent. Why does the criminal do it ? Does he realize that he is acting criminally ? Does it just happen somehow ? Does he like his criminal self ? These questions motivate our fascination with the crime events now on trial in Massachusetts or soon to be. We marvel at their diversity as well as their intensity. 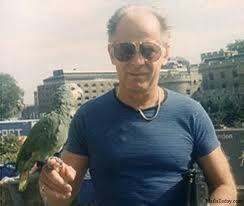 There is the old line, noir-movie, city gangster, Whitey Bulger. 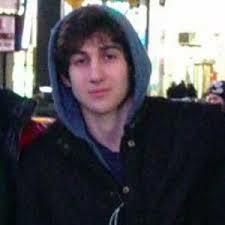 There’s the terrorist, Dzhokhar Tsarnaev, religious and ioung. And there is the sports star gang-banger, Aaron Hernandez. None has the slightest similarity to any of the others; not motive, not background, not the manner of act. They are linked only by being accused of committing murder — in Massachusetts. Each probably despises the others. Criminal will is often like that. It defends its own will in the same breath that it condemns other wills. The criminal HAS IT BOTH WAYS. He (or she) breaks the social covenant, but also passionately defends it against others who break it. The criminal gets to be a good citizen and a bad one, both. This fascinates us, and it should. The cliche “having your cake and eating it too” is a commonplace because we all want to do it – but few of us ever do. The criminal gets to actually do it. How can he NOT fascinate us ? We wonder how the criminal gets to be so free from taboos even while maintaining a dedicationl to them. At the trial we see some of how he (or she) did what he did, and of why, but even at trial the question of how did it get to that is rarely answered even partially. Still, that is the question we want – need – to have answered. Because it is rarely answered in a trial, we follow the trial intently seeking in what is testified to an answer to that question. We fear, and rightly, that the criminal acts as he does because he likes being criminal. He can condemn the criminal acts of others as vigorously as we do and commit other such acts as we do not. He likes having it both ways ? Maybe not. But what if he does ? Why did Whitey Bulger choose a life of extortion, gambling, violence, ratting, and killing ? Perhaps because he liked it. Perhaps Tsarnaev liked being his older brother’s loyal helpmate. 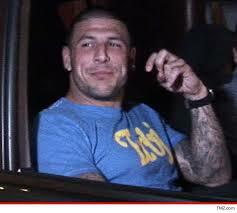 Maybe Aaron Hernandez liked the power and swagger, the anger and dominance, that violence to his associates engendered. There is nothing freer than to be free of societal taboos. When one sees that one can do anything, it is hard to walk away. Hard for some, anyway. Fortunately, it is not hard for most of us to eschew doing whatever we want. In any case, we can watch the trials of Hernandez, Tsarnaev, and Bulger and imagine ourselves having it both ways : doing what they did and not doing it. Living it and condemning it. No wonder that criminal trials fascinate us. “SOME THOUGHTS ON CRIME” IS A CONTINUING ESSAY, POSTED ONE PART AT A TIME. PART TWO– DID HE REALLY DO THAT ?” — WILL BE POSTED TOMORROW.